Promo code: No code needed. 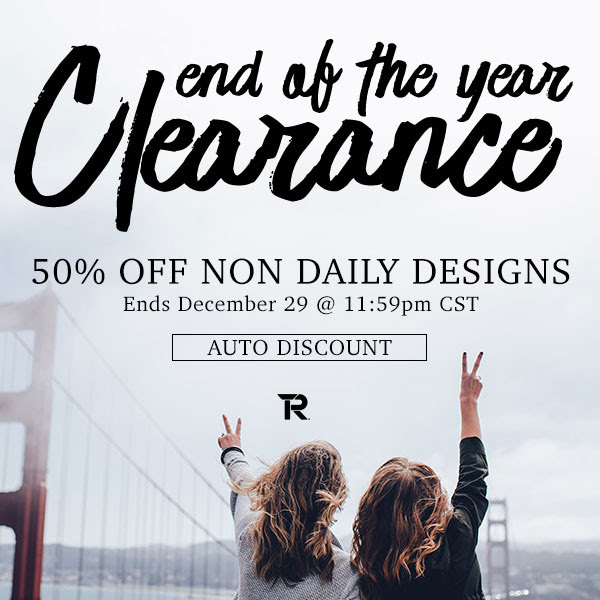 Ends: December 29th 11:59 pm CST. It’s a pretty great deal. The Shirt List will try to keep you up to date on RIPT coupons, discounts and sales here. Use your RIPT coupons to buy some of the coolest pop culture t-shirts on the planet. New t-shirts are added all the time and while most of them are pop culture related, they are designed by a diverse group of artists. You are almost sure to find one that suits you. The sales are also a great time to stock up on t-shirts for yourself or for buying gifts in bulk for the holiday season. RIPT is a daily t-shirt site, which means that they offer new t-shirts every day for a limited time. Actually, RIPT allows you to purchase them for just $11 during a 24 hour period and then for latecomers, you have a chance to get them again for $16 for a few more hours. After that, they are gone and usually forever. Although they will usually be found for sale at other stores. An exception to this is the RIPT exclusive t-shirts which do occasionally re-appear from time to time.